Blödite: Mineral information, data and localities. May contain some K replacing Na. Colourless, bluish-green, reddish; colourless in transmitted light. Named in honor of Carl (Karl) August Blöde (14 August 1773, Freiberg Saxony, Germany - 28 August 1820) German Privy Financial Councilor, chemist and author. The variant spelling bloedite was rejected by the IMA in 1960. 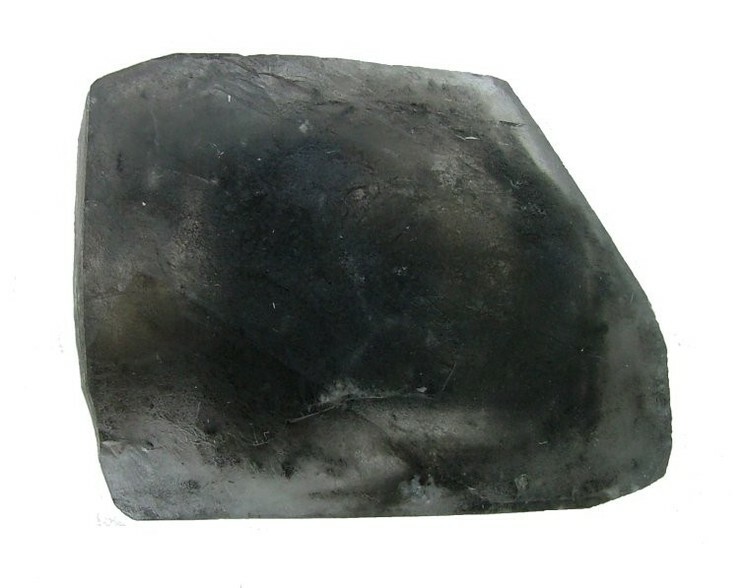 This page provides mineralogical data about Blödite. Crystals short prismatic , frequently highly modified. Massive, granular or compact. John, J.F. (1821) Chemische Zerlegung eines neuen fossilen Salzes, des Blödits. in Chemische Untersuchungen mineralischer, vegetabilischer und animalischer Substanzen, Maurerschen Buchhandlung (Berlin): 240-247. Thénardite 2 photos of Blödite associated with Thénardite on mindat.org. Tamarugite 1 photo of Blödite associated with Tamarugite on mindat.org. Sideronatrite 1 photo of Blödite associated with Sideronatrite on mindat.org. Polyhalite 1 photo of Blödite associated with Polyhalite on mindat.org. Readily soluble in cold water. Rose, G. (1837) Reise nach dem Ural, dem Altai, und dem kaspischen Meere, Volume 2 (1842). Berlin: 2: 270 (as Astrakanit). Tschermak (1869) Konigliche Akademie der Wissenschaften, Vienna, Ber. : 60(1): 718 (as Simonyit). Quenstedt, Fr. Aug. (1877) Handbuch der Mineralogie, third edition: 645 (as Warthit). Schulze, H. (1889) Mineralogisches aus Tarapacá. Verhandlungen des Deutschen Wissenschaftlichen Vereines zu Santiago: 2: 49-60. Koechlin, R. (1900) Ueber Simonyit- und Glauberitkrystalle von Hallstatt. Ann. Naturhist. Hofmuseum, Vienna: 15: 103. Koechlin, R. (1902) Mineralogische und petrographische Mitteilungen, Vienna: 21: 356 (as Natronkalisimonyit). Goldschmidt, V. (1913) Atlas der Krystallformen. 9 volumes, atlas, and text, vol. 1: 207. Schaller, Waldemar Theodore (1913) Immense bloedite crystals: Washington Academy of Science Journal: 3: 75-76. Laszkiewicz (1929) Arch. Min. Soc. Warsaw: 5: 79. Schaller, Waldemar Theodore (1932) The refractive indices of bloedite: American Mineralogist: 17: 530-533. Lauro, C. (1940) Ricerche roentgenografiche sulla bloedite. Periodico di Mineralogia – Roma: 11: 89-94. Palache, C., Berman, H., and Frondel, C. (1951) The System of Mineralogy of James Dwight Dana and Edward Salisbury Dana, Yale University 1837-1892, Volume II. John Wiley and Sons, Inc., New York, 7th edition, revised and enlarged: 447-450. Rumanova, I.M., Malitskaya, G.I. (1959) Revision of the structure of astrakhanite by weighted phase projection methods. European Journal of Mineralogy: 4: 481-495. Eady, A.F. (1966) Bloedite-Kristalle von Soda Lake, San Luis Obispo County, Kalifornien, Aufschluss: 17: 268-269;…(abstract) Min. Abst. (1967): 18(2): 145. Lauro C., Di Sabatino B. (1970) Contributo alla conoscenza dei solfati sodico- magnesiaci naturali; nota I: il comportamento della bloedite alle analisi diffrattometrica e termica. Periodico di mineralogia – Roma: 279-314.
International Mineralogical Association (1982) International Mineralogical Association: Commission on new minerals and mineral names. Mineralogical Magazine: 46: 513-514. Hawthorne, F.C. (1985) Refinement of the crystal structure of bloedite: structural similarities in the [VIM(IVTΦ4)2Φn] finite-cluster minerals. The Canadian Mineralogist: 23: 669-674. Comodi P, Nazzareni S, Balić-Žunić T, Zucchini A, Hanfland M (2014) The high-pressure behavior of bloedite: A synchrotron single-crystal X-ray diffraction study. 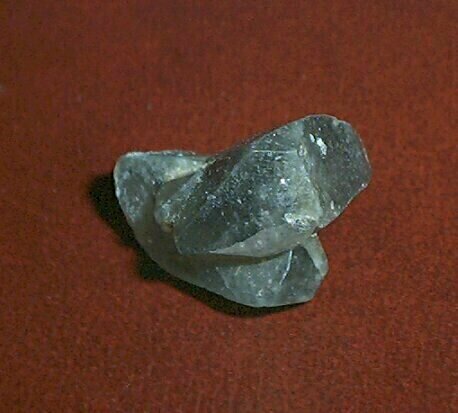 American Mineralogist: 99: 511-518. Vennum, W. (1986) Unusual magnesium- and iron-bearing salts from West Antarctica. Antarctic Journal of the U.S., 21(5), 55-57. Benedetto, C., Forti, P., Galli, E., & Rossi, A. (1998). Chemical deposits in volcanic caves of Argentina. International Journal of Speleology, 27(1), 16. Crétaux, J. F., Létolle, R., & Calmant, S. (2009). Investigations on Aral Sea regressions from Mirabilite deposits and remote sensing. Aquatic geochemistry, 15(1-2), 277-291. Palache, C., Berman, H., & Frondel, C. (1951), The System of Mineralogy of James Dwight Dana and Edward Salisbury Dana, Yale University 1837-1892, Volume II: 449; Canadian Mineralogist (1985): 23: 669. Palache, C., Berman, H., & Frondel, C. (1951), The System of Mineralogy of James Dwight Dana and Edward Salisbury Dana, Yale University 1837-1892, Volume II: 449; R. Exel: Die Mineralien und Erzlagerstätten Österreichs (1993); Schorn, A., Neubauer, F., Bernroider, M. (2013): Polyhalite microfabrics in an Alpine evaporite mélange: Hallstatt, Eastern Alps. Journal of Structural Geology 46, 57-75. Renaut, R. W., Stead, D., & Owen, R. B. (1994). The saline lakes of the Fraser Plateau, British Columbia, Canada. Global Geological Record of Lake Basins, 1, 419-423. Zodrow, E.L. (1989) Summary report of secondary sulphate minerals, Sydney Coalfield, Nova Scotia, Canada. Nova Scotia Department of Mines & Energy, Report 89-3, Mines & Minerals Branch Report of Activities, Part A: 141-143. De Waele, J., Carbone, C., Sanna, L., Vattano, M., Galli, E., & Forti, P. (2017). 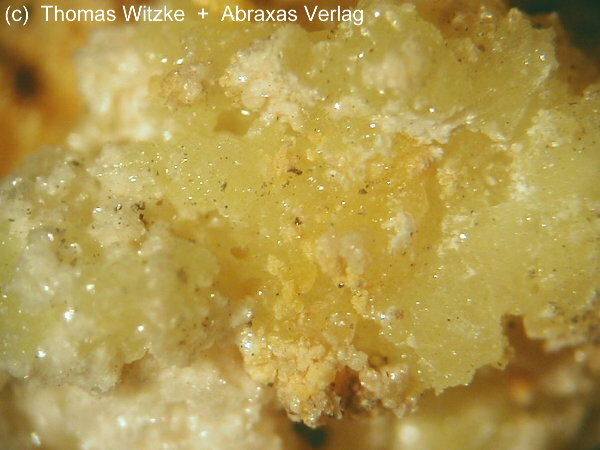 Secondary minerals from halite caves in the Atacama Desert (Chile). In 17th International Congress of Speleology (No. I, pp. 242-246). Australian Speleological Federation Inc.
Sun Da-peng, Li Bing-xiao, Ma Yua-hua, and Lin Qun-zhu (2002): Journal of Salt Lake Research 10(4), 1-12. Shaoxiu Yang (1991): Journal of Lake Sciences 3(1), 1-10; Zheng, M. P., Qi, W., & Yuan, H. R. (2005). Characteristics of salt lake boron deposits and magnesium borate deposits of the Qinghai-Tibet Plateau, China. In Mineral Deposit Research: Meeting the Global Challenge (pp. 1123-1125). Springer Berlin Heidelberg. Mianping Zheng (1997): An Introduction to Saline Lakes on the Qinghai-Tibet Plateau. Kluwer Academic Publishers (Dordrecht, NL), 319 pp. Zheng Mianping, Tang Jiayou, Liu Junying, and Zhang Fasheng (1993): Hydrobiologia 267(1-3), 23-36. Steven M. Richardson (1978). Vein formation in the C1 carbonaceous chondrites. Meteoritics, 13, #1, 141-159. (March 1978). Palache, C., Berman, H., & Frondel, C. (1951), The System of Mineralogy of James Dwight Dana and Edward Salisbury Dana, Yale University 1837-1892, Volume II: 364, 449. GARAVELLI A., GRASSO M.F., VURRO F. (1996): Mineral occurrence and depositional processes at Baia di Levante area (Vulcano Island, Italy). - Mineralogica et Petrographica Acta - 39, 251- 261. Dana 6: 899; Palache, C., Berman, H., & Frondel, C. (1951), The System of Mineralogy of James Dwight Dana and Edward Salisbury Dana, Yale University 1837-1892, Volume II: 432 & 449. Dana 6: 947; Palache, C., Berman, H., & Frondel, C. (1951), The System of Mineralogy of James Dwight Dana and Edward Salisbury Dana, Yale University 1837-1892, Volume II: 449. Joana Ribeiro, Silvio R. Taffarel, Carlos H. Sampaio, Deolinda Flores, Luis F.O. Silva (2013): Mineral speciation and fate of some hazardous contaminants in coal waste pile from anthracite mining in Portugal. International Journal of Coal Geology, 109-110, 15-23. Deyak M.A. Modern water-chemogenic formations of mud volcanoes of Kerch Peninsula. Dissertation to Scientific Candidate Degree in Geological Sciences in speciality 04.00.21 – lithology. –Department of marine geology and sedimentary ore formation of the National Academy of Sciences of Ukraine. – Kyiv, 2010. Brian Mason (1962). Meteorites. John Wiley and Sons, Inc.: New York & London. 274 pages. Altay, T., Karakaya, M.Ç., and Murat, A. (2010): Goldschmidt Conference Abstracts 2010. Palache, C., Berman, H., & Frondel, C. (1951), The System of Mineralogy of James Dwight Dana and Edward Salisbury Dana, Yale University 1837-1892, Volume II: 449. Anthony, J.W., et al (1995), Mineralogy of Arizona, 3rd.ed. : 140. Murata, K.J. (1977) Occurrence of bloedite and related minerals in marine shale of Diablo and Tremblor Ranges, California. SGS Jour. Res. : 5: 638; Pemberton, H. Earl (1983), Minerals of California; Van Nostrand Reinholt Press: 267. Murata, K.J. (1977) Occurrence of bloedite and related minerals in marine shale of Diablo and Tremblor Ranges, California. USGS Jour. Res. : 5: 638; Pemberton, H. Earl (1983), Minerals of California; Van Nostrand Reinholt Press: 267. Sampson, Reid J. & W. Burling Tucker (1942), Mineral resources of Imperial County: California Mining Bureau. Report 38: 140; Ver Planck, Wm. E., Jr. (1954), Salines in southern California: California Division Mines Bulletin 170, ch. VIII: 5-14; Murdoch, Joseph & Robert W. Webb (1966), Minerals of California, Centennial Volume (1866-1966): California Division Mines & Geology Bulletin 189: 108; Pemberton, H. Earl (1983), Minerals of California; Van Nostrand Reinholt Press: 267. Jones, Blair Francis (1961), Zoning of saline minerals at Deep Spring Lake, California: USGS PP 424-B, Article 83: B200; Pemberton, H. Earl (1983), Minerals of California; Van Nostrand Reinholt Press: 267. Gale, Hoyt Stoddard (1914e), Sodium sulphate in the Carrizo Plain, San Luis Obispo County, California: USGS Bulletin 540: 428-433; Schaller, Waldemar Theodore (1916a), Mineralogic notes, USGS Bulletin 610: 148; Eady, A.F. (1966) Bloedite-Kristalle von Soda Lake, San Luis Obispo County, Kalifornien. Aufschluss: 17: 268-269; Pemberton, H. Earl (1983), Minerals of California; Van Nostrand Reinholt Press: 268. Murata, K.J. (1977) Occurrence of bloedite and related minerals in marine shale of Diablo and Tremblor Ranges, California. USGS Jour. Res. : 5: 638; Pemberton, H. Earl (1983), Minerals of California; Van Nostrand Reinholt Press: 267, 268. Hon, K., Bove, D.J., Lee, L., and Thornber, C., 2009, The origin and zonation of sublimates and precipitates in active Hawaiian lava tubes: Geological Society of America Abstracts with Programs, v. 41, no. 7, p.193. Palache, C., Berman, H., & Frondel, C. (1951), The System of Mineralogy of James Dwight Dana and Edward Salisbury Dana, Yale University 1837-1892, Volume II: 449; USGS Prof Paper 68 The Ore Deposits of New Mexico.